Our oil is £10 for a 500ml tin and is sent by our UK dispatch office. It’s usual to see circles of earth around olive trees, the result of being sprayed with nasty chemicals to stop anything growing underneath. 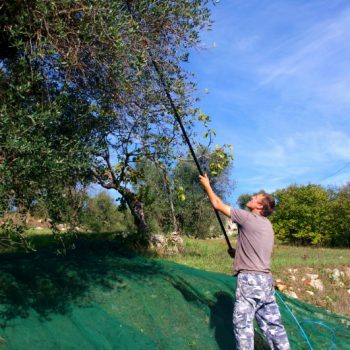 This makes it easier to sweep the olives up from the ground as they’re not getting caught up in grass. Some people use pesticides on their trees too, spraying huge gusts of chemicals over them to prevent olive fly. It’s better for you and for the environment because the olives are grown without chemicals. But it doesn’t mean the oil is any less industrially produced. Here they use terms like ‘piccante’ – spicy, ‘dolce’ – mild, and ‘amaro’ – bitter, to describe the oil. Flavour experts will get even more descriptive about the taste, giving wine critics a run for their money in their colourful reviews of different oils. 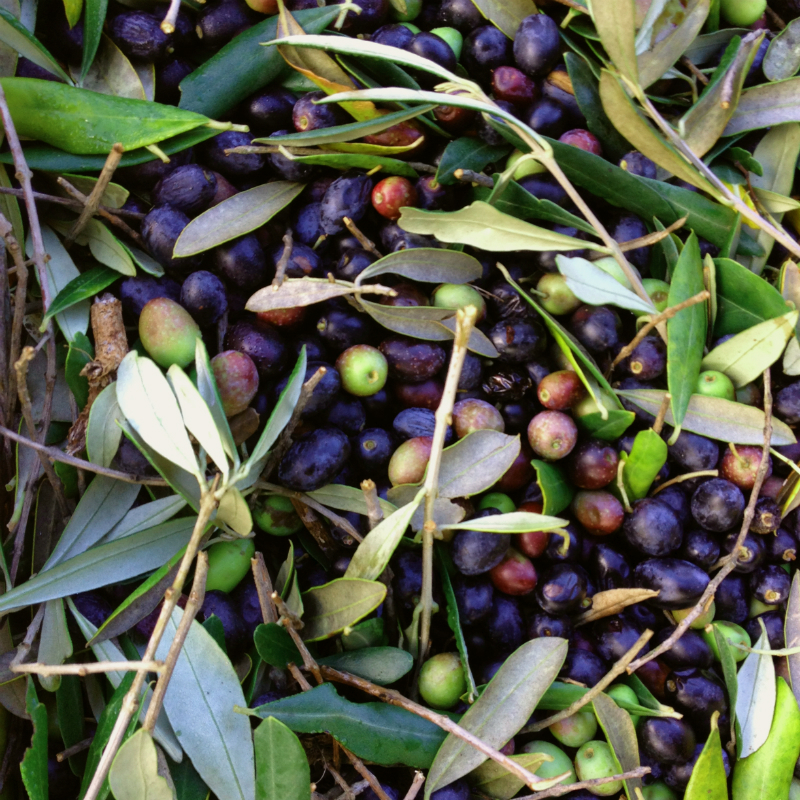 Our oil generally comes out as piccante or amaro, and the colour – oh my goodness, the colour! Just pressed oil comes out a dark, luminous, opaque green. You dip your finger in and at first nothing, and then bang! It hits the back of your throat and you can’t believe those little olives can produce something so incredible. Although we describe our oil as organic we aren’t certified organic, it’s a bureaucratic journey we haven’t been able to face so far. 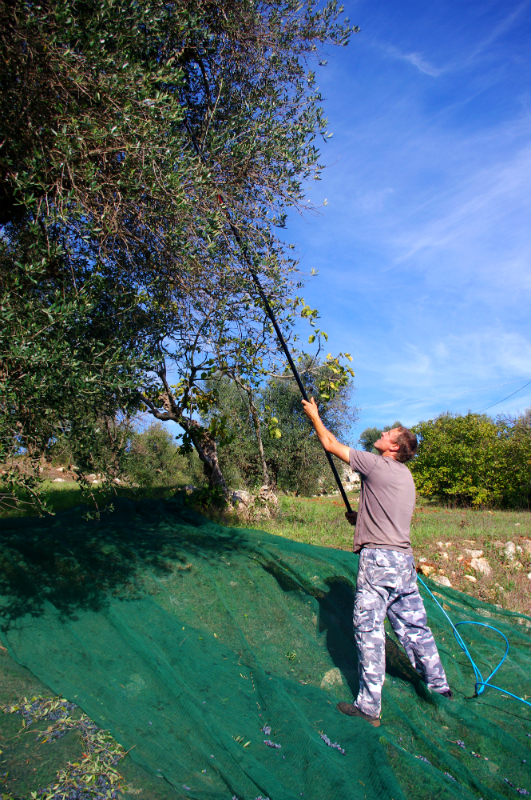 But since moving to Puglia we’ve farmed the land without nasty chemicals and belong to a task force promoting organic land management – Terra Libera dai Veleni. We have lots of lovely naturally produced compost as fertiliser to feed the earth, a flame thrower to fight the weeds, and if the bugs are a real nuisance we have various organic solutions to keep them at bay. As much as possible we try to work alongside nature rather than fight against it. Since we moved here in 2008 we’ve farmed the land organically but we aren’t certified so when we describe our oil as organic you’ll have to take our word for it. We also describe the oil as extra virgin which means it should have a ph level of 0.8% or less, our mill doesn’t test the oil so we go by the local rule of thumb which is to press your oil within three days of harvesting to achieve extra virgin oil. Our aim is to pick and press within 24 hours. 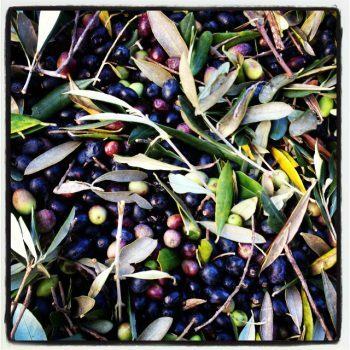 Our oil is single estate and unblended, this means that all the olives are from the same grove and have been subject to the same climate, environment and growing conditions, and we don’t add oil from other sources. Well, nothing if you like bland oil but compare the taste of artisan olive oil and you’ll never want to buy the cheap stuff again. 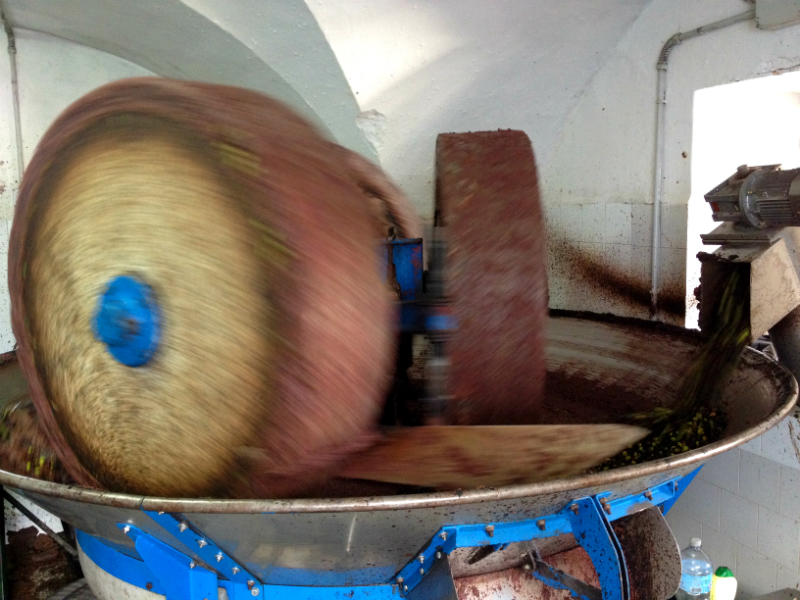 All the mills buy olives which they press into oil to sell to big producers. 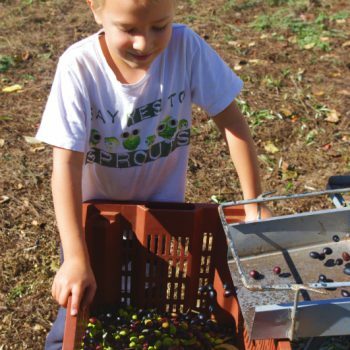 This will be a mix of olives; some will be industrially picked – a tractor with a collar that fits around the trunk vibrates the tree to shake the olives off. It’s quite violent and can damage the tree, so that the bark has to literally be glued back together. 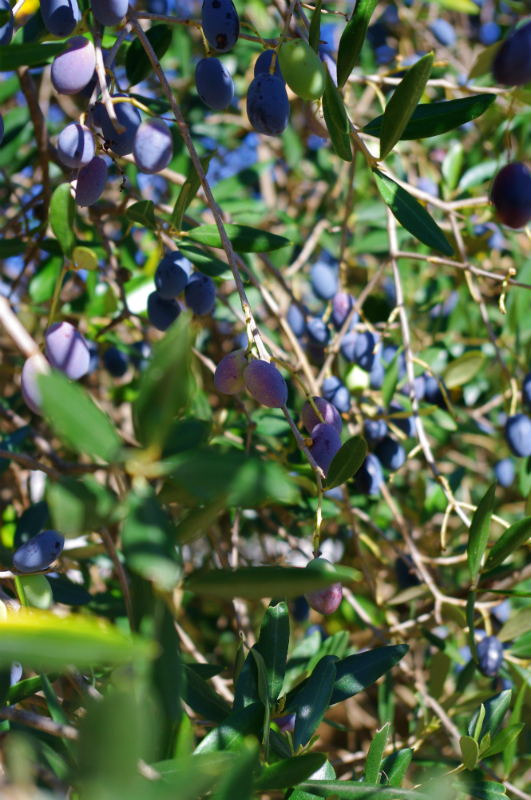 Some will be olives that have dropped naturally into nets that are left draped under trees and could have lain there for days before being collected. And some will have been swept up from the ground. 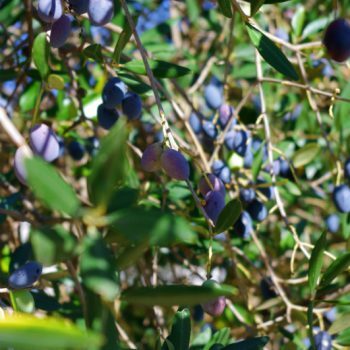 The pulp is often repressed several times and, depending on the acidity level, will be graded into extra virgin olive oil, virgin olive oil, or just plain olive oil. The big producers will then label it as their own brand oil or a supermarket own brand depending on who they’re selling to. 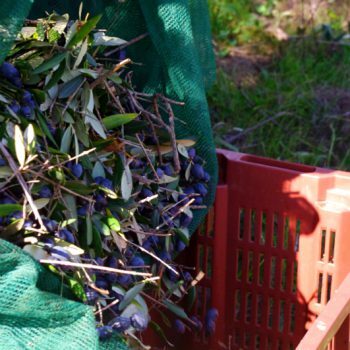 We harvest our olives in November, traditionally 15 November is the official start of olive harvest here and that’s when the mills open for business. 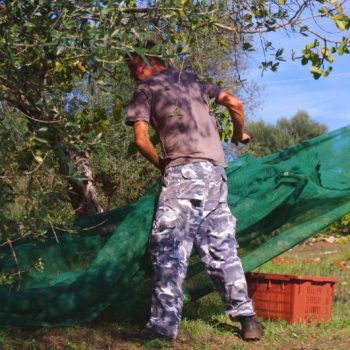 We collect the olives by hand into nets that are spread around the base of the tree and then pour them into a shaker which separates the olives from the bits of leaf and twig that also fall into the nets. 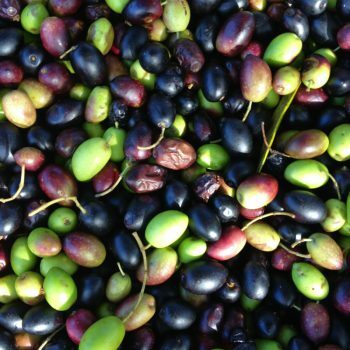 To rule of thumb for extra virgin oil is to press the olives within three days of picking but we aim for 24 hours from when the first olive was plucked from a tree. 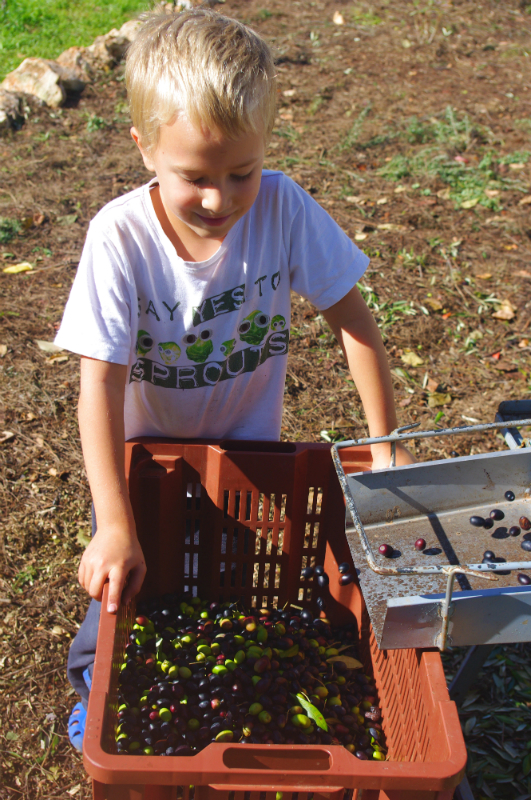 We have to pick 300kg of olives for each press at the mill and we have to do in a single day so that we can get it pressed within 24 hours. The quicker it goes from tree to press the lower the acidity level of the oil, lower than 0.8% puts it in the ‘extra virgin’ category. 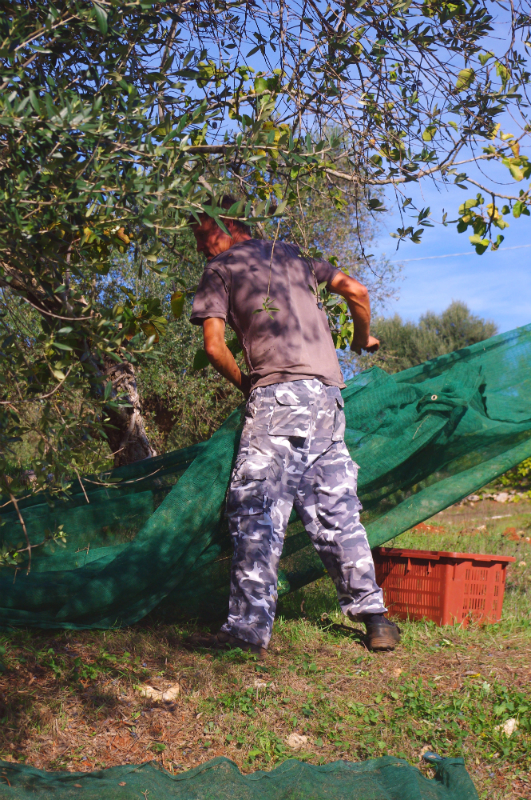 There are fast industrial ways of harvesting olives but we prefer to go out there with our nets, hand shakers and rakes to bring them down. It’s fun and it doesn’t damage the trees either. 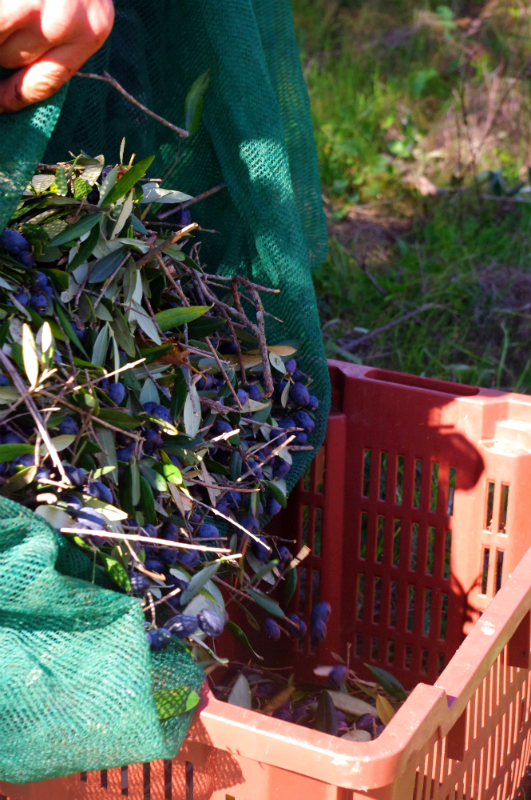 The olives we pick are all from our land, so the oil in your tin comes from trees that have experienced the same microclimate and growing conditions. We keep the oil from each press separate, that way the flavour is unique. It means that you could buy two tins from the same harvest but from different pressings and detect a flavour distinction. 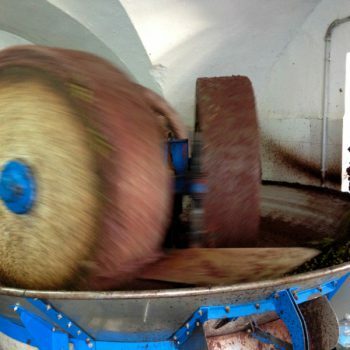 We take our olives to a mill that uses the traditional cold pressing method. Some mills use heat to extract more oil but we prefer the old fashioned way. The amount of oil we get from each press varies according to that year’s weather and ranges between 30 and 50 litres. That’s about 500 olives to make one single tin of oil. And finally, we don’t filter the oil which means at the bottom of every tin you’ll find some dark sediment – we think it tastes better that way. It’s hard work but it’s worth it when you get your very own rich, green and spicy olive oil.